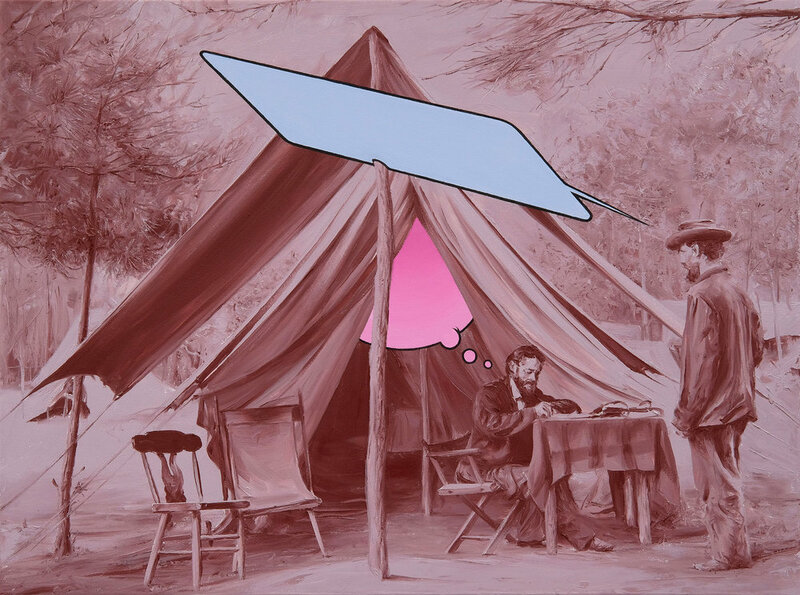 Paco Pomet combines chilling social commentary with humorous juxtapositions of past, present, and future in his satirical paintings . 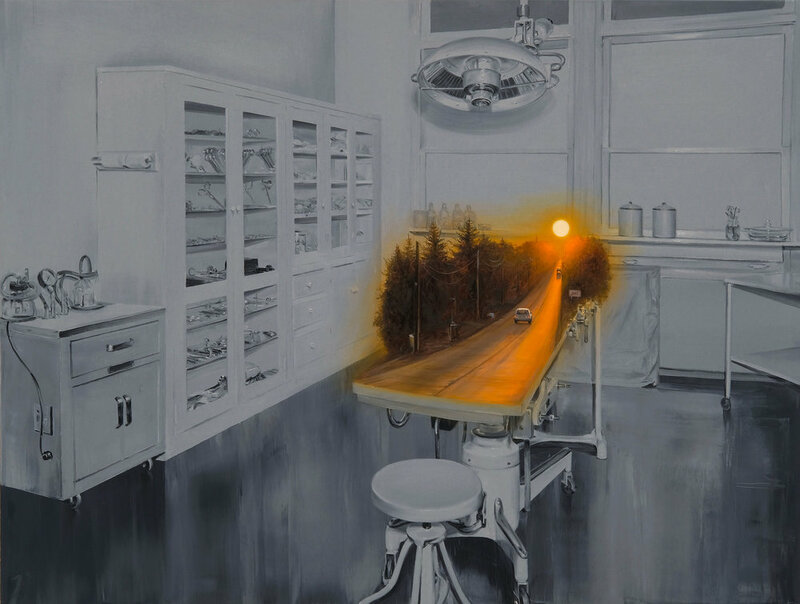 All-new works from 2018 and 2019 include meditations on melting glaciers, differences of opinion in frontier settings, and the symbolism of setting suns. The Spanish artist often combines greyscale and full color within a single painting to draw the viewer’s attention to specific details, like a car driving toward a bubblegum pink slime-slide, and two settlers in neighboring buildings enveloped by different-hued auras. 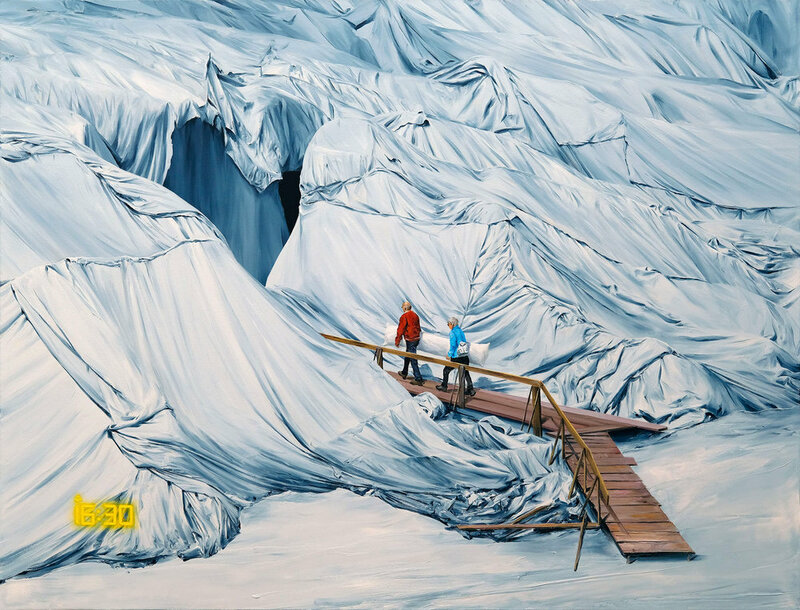 Pomet’s latest solo show, “No Places” at Galleri Benoni in Copenhagen, Denmark, and runs through May 10, 2019.